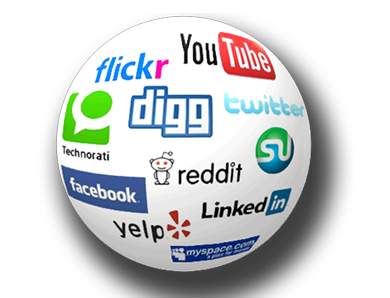 We have made a list of social media websites that allow you to place your social media marketing on autopilot. Obviously you cannot just use this as stand alone package but does make your life much easier. Sprout Social is a monitoring platform that takes activities form all of your networks onto stream. Social sprout is and up-and-coming media management service provider. This tool is designed for businesses. It will give you a great idea of how well your social media are working to drive traffic to your website. This social media tool provides you with reports and other useful information such as breakdowns of your followers’ demographics. While there is no free version of Sprout Social, it is very easy to use and comes with more useful extra than some free tools. Postling will take all of your social media messages and put them into one convenient inbox for you. This is a social media management tool that is designed for businesses as well. They will take all of you notifications and reviews from linked sites, such as TripAdvisor or Yelp, and puts them onto one convenient page for you. It is conveniently priced at only one dollar per month for each social media site up to first five. Each additional site added is three dollars per month. Sendible is a social media management tool that is more aggressive. This tool allows you to choose each individual detail of your postings. You can post notes to your Facebook, or photo album, or update you LinkedIn status. This attention to specific details of actions can save you on time and frustrations. Sendible is slightly more costly than some other social media management tools, but can be well worth the extra to get your site more business. Flipboard is a social “magazine” online. This tool is a great app available on the IPhone, Ipod Touch, and IPad. There is also a beta version of this app available on android. You must log into each synced account separately, but once you do each is laid out nicely in a magazine style page. This is a little more time consuming, but comes free of cost. This tool is compatible with a dozen different social media sites.